Stay turnt! Black lives matter. The Webby Awards are humbled to recognize Alicia Garza, Opal Tometi & Patrisse Cullors, the founders of the #BlackLivesMatter organization, with The Webby Social Movement of the Year Award for their roles in the Black Lives Matter movement. The three aforementioned women created a direct and viral if not simple hashtag to bring attention to one of the singular issues of our time—the systemic violence and injustice towards African Americans. #BlackLivesMatter took off across social media and became the rallying cry for protesters during the subsequent unrest in Ferguson, MO and elsewhere, demonstrating the power of platforms such as Twitter to project a unified message en masse and with poignant gravity. As for the founders, they have proven resilient against more callous retaliatory hashtags and counter-movements, while seeing that Black Lives Matter identify and relate instances of injustice such as the water crisis in Flint, MI at the speed of the Internet. 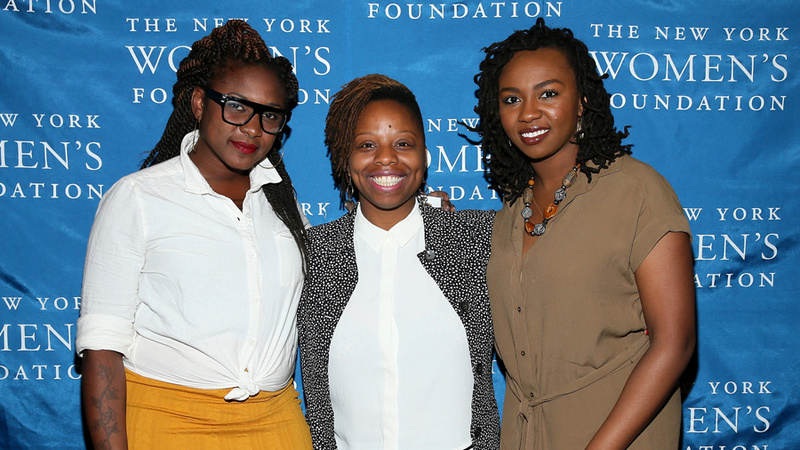 For demonstrating that social activism and a nation-wide debate can be held and organized online, The Webby Awards are privileged to honor Alicia Garza, Opal Tometi & Patrisse Cullors with the very first Webby Social Movement of the Year Award. An important social movement amplified by use of the Internet, wielding social media as a megaphone to amplify and disseminate powerful and impactful messages—rallying disparate or overlooked voices.